Back in November I visited Philadelphia and a bunch of my friends...while at my friend Nicole's house, her wonderful husband (who is an amazing cook!) 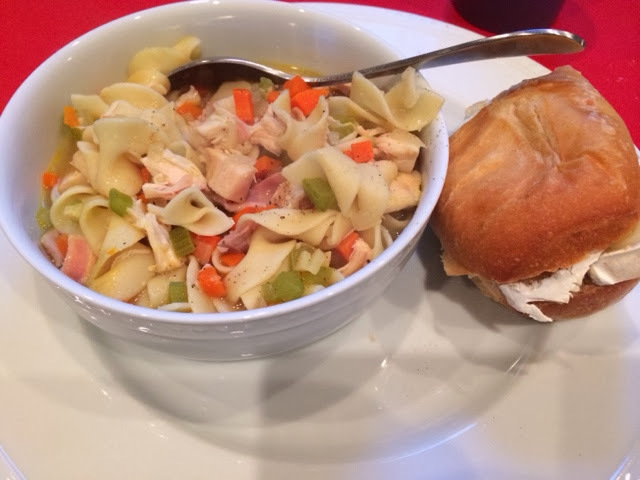 whipped together and it was the most simple yet delicious chicken noodle soup. 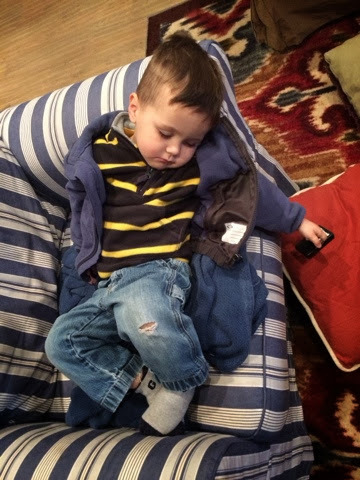 I was thinking about it for WEEKS! Add some (about 1 TBSP) olive oil into a large pot on medium-high heat. 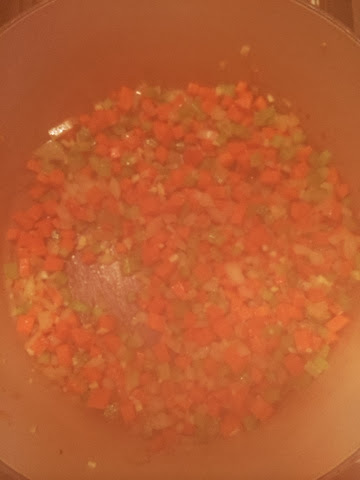 Add the celery, carrots, and onion. Saute this for 5 minutes or so, stirring frequently. 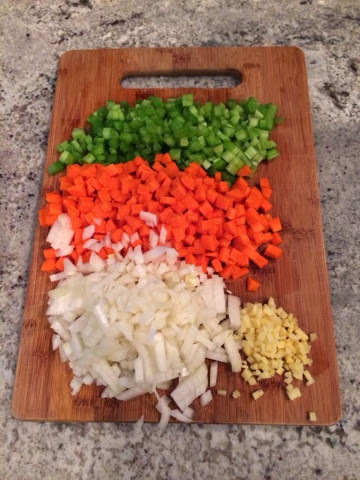 Once the vegetables are soft, add 1 large (49.5 oz) can of chicken broth (or 6 cups). Bring it to a boil and add about half a bag of extra wide egg noodle, paying attention to the package cooking time. 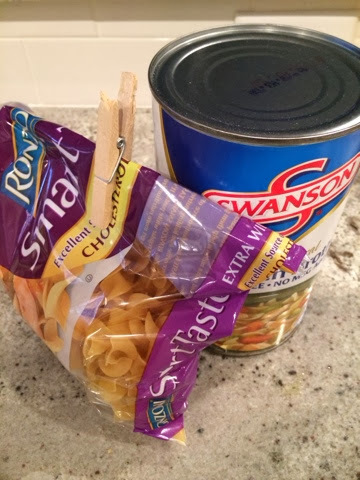 Lately I've been a big fan of the Ronzoni brand Smart Taste Extra Wide Style because it has extra protein, those noodles need to cook about 10 minutes. For years and years I would eat Chicken Noodle Soup without any actual chicken...basically just noodles and vegatbles. But this version uses about half of a Rotisserie Chicken. I'd say about a cup of chicken. Because the chicken is already cooked, I usually add this at the very end. Add some salt and pepper and enjoy. I always enjoy this soup with some cheese and crackers...and some fruit.